I've got some nice exotic polishes today. I bought these Golden Rose polishes whilst holidaying in Marmaris Turkey. I trailed in and out of every supermarket and pharmacy (there aren't really any makeup stores) searching for these and only managed to find these 4, but it's better than nothing. 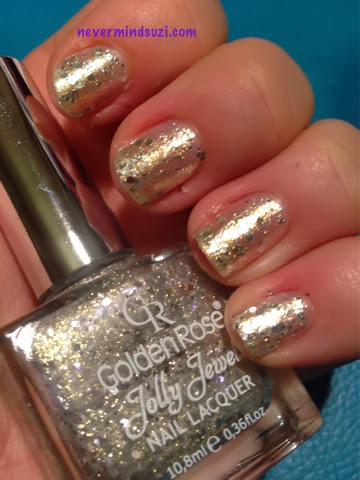 I'm going to start with a small complaint I have about all Golden Rose polishes, name them for goodness sake, I hate polishes that just have numbers. 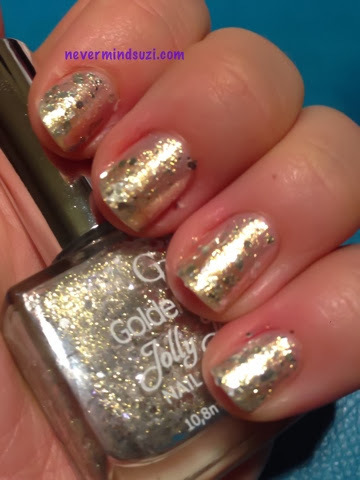 122 is a silver and gold mix, it's got a similar formula to textured polishes. This went on well in 2 coats. I really like this colour, it's not a colour I'd usually go for but this isn't as brassy as some can be. It's similar to the sprinkles polishes from Nails Inc rather than the milky/glitter Indie polishes, but it thankfully wasn't as difficult to remove.